At this time of year everyone likes to have their home looking warm and welcoming for those special family get togethers. The dining room and kitchen are particularly important and a few small seasonal touches can go a long way. At Strawbridge we have a wide variety of Christmas table linen from bread baskets to table cloths and even seasonal tea towels so you can get your kitchen and dining room ready and welcoming for Christmas! We have a mixture of patterned and plain table linens in warm reds, crisp whites and neutral taupes. Tartan, polka dot and garland patterns give a joyful and traditional Christmas look to any table setting. If you want a more subtle Christmas look then mix patterned table cloths with plain napkins and table mats or visa verse to tone it down a bit. Plain white can look great on a table at Christmas especially next to bright reds and greens. 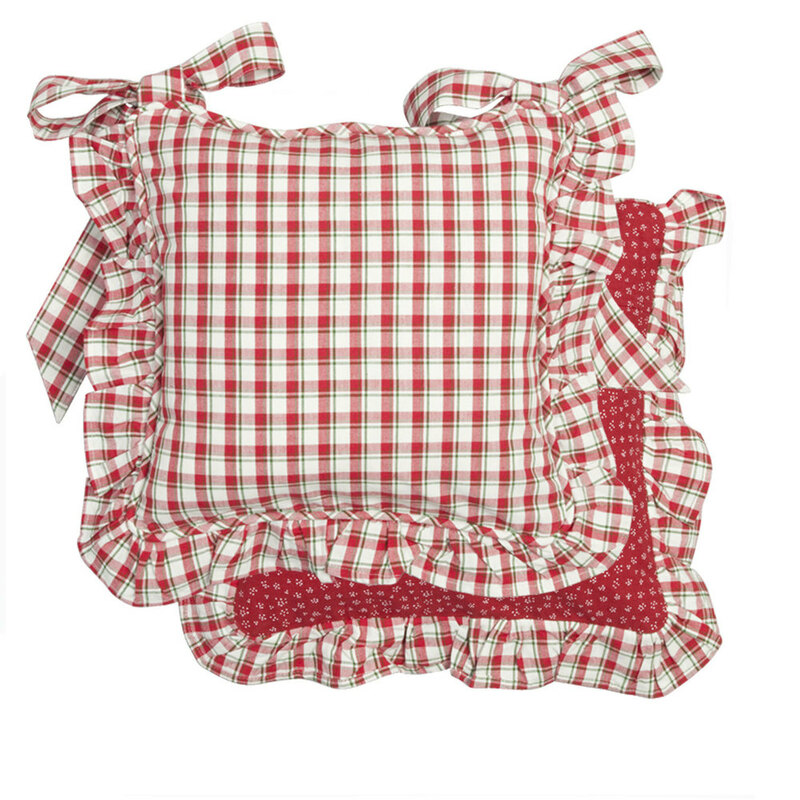 We even have child sized aprons in beautiful patterns for your little helper in the kitchen! Our ladder back Heritage Basic Line Chairs are the most frequently sought after style especially in our classic colour combination of warm cream and lacquer. The chairs can be ordered in any of our colours and finishes and are all solid Pine and Beech wood. They go perfectly with the Heritage Basic Line Tables but because they are so elegantly simple in design they can work quite well with many other styles of table. Click here to see our collection of tables and chairs, all furniture in stock is now 40% off in our Winter Sale! At Strawbridge we have a number of different furniture collections and the Heritage Basic Line is among the most popular. The clean lines and simple form of the pieces make the collection both beautiful and practical for a busy family home. 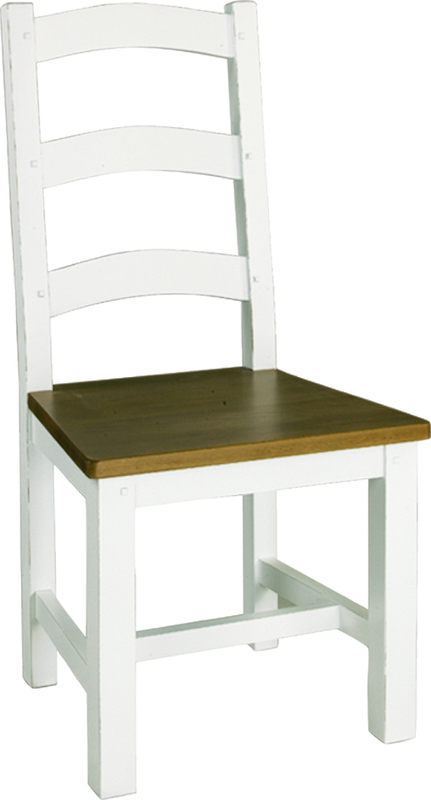 The Heritage Basic Line kitchen tables and chairs are made from 100% Pine and Beech wood. They can be ordered in any of our colours or finishes. This style of Dining Table is available in a number of sizes and any tables currently in stock are now 40% off in the Strawbridge Winter Sale. Click here to view the dimensions and prices of the Heritage Basic Line collection. Visit our showrooms at The Shopping Courtyard, Mount Usher Gardens, Ashford, Co. Wicklow to see our range of Home Accessories and Furniture. WINTER FURNITURE SALE NOW ON!